For me, one of the benefits of joining the Landowner movement has been an increased interest in the history of our country, in particular, how it was formed and what reasoning was used by the founding fathers to establish Canada in 1867. In building this country, all Canadian premiers and opposition leaders signed a constructional document similar to that of Britain with two Houses of Parliament. Are we today wiser than those founding fathers? 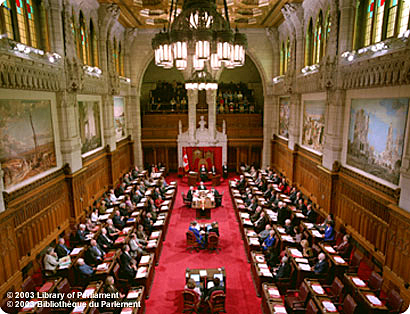 Since confederation, there have been numerous calls for the reform or even the abolition of our Senate. Given the recent so-called “Senate scandals”, the clamour for reform or abolition has become deafening. I recently attended a breakfast meeting of 60 or so people where we were asked to raise our hand in support of abolishing the senate, electing the senate, or appointing the senate. Overwhelmingly, support was for electing the senate. Mine may have been the lone dissenting hand raised in favour of the continued appointment of senators. It’s not that I am against the notion of elected senators; it’s just that I think we should think carefully about the consequences of moving in this direction. I am firmly against abolition of the Senate because I believe that our Parliamentary system is stronger with an upper and lower chamber. Sir Winston Churchill believed that “It is difficult to find a powerful, successful, free democratic constitution of a great sovereign state which has adopted the single Chamber government.” I was happy to see that, at least at the small gathering I attended, there was little appetite for abolition. Life expectancy for men in Canada in 1920 to 1922 was 59 years (women were not permitted to be appointed to the Senate until 1929). I couldn’t find statistics for the 1800’s but it is reasonable to think it would be less than 59. Until 1965, when mandatory retirement at 75 was introduced, appointment was for life. Perhaps this made sense when appointments tended to be of respected individuals who has already distinguished themselves and were nearing the end of their time on earth. Today, if appointed at 30, a Senator could expect to sit in the Upper Chamber for 45 years. The prospect of such long terms for Senators is perhaps one of the reasons for the notion that they should be elected. Presumably, candidates would be elected for a given term and not for life. Given today’s life expectancy for Canadians of 81 years, it makes sense to introduce term limits, whether the person is elected or appointed and that term should exceed and not coincide with the House of Commons four-year term. Representation in the Senate is regional rather than by population. This aspect of the Upper Chamber means that there is truly a division of power and a diversity of thought between the Houses. If elected, then regional representation should remain as a criterion and not mirror the ridings of the House of Commons. More should be done though to ensure that Senators truly represent their region. The Parliamentary website states that “in 1867, the property qualification permitted the Senate to represent a further “minority” beyond those of the regions: the propertied classes”. Does this minority still exist today, and does it need representation? I suggest that it does given the attack on private property rights by a plethora of regulations that remove landowners’ rights without compensation. This, I believe, is the most important aspect of the Senate, as designed by the founding fathers, which must not be ignored. Since Confederation, this intention has been allowed to fade. Surely, now is the time to revisit and strengthen this very important design by the framers of the Constitution. For a different perspective on Senate Reform, see “Updating Some Antiquated Constitutional Provisions Relating to the Senate” by the Hon. Dan Hays.